Halloween is here at Sugar Street Bakery and Bistro in Portland. 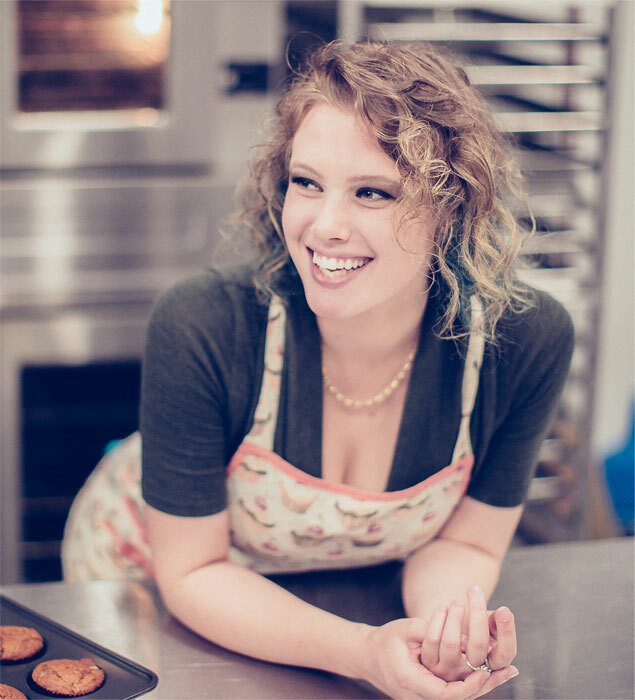 Darrell Hames, owner of Alimenti Catering, purchased Cupcakes, Cookies and More in West Linn in 2014 and hired a new baker, Jordyn Cooper. Hames decided to expand the menu to include salads and sandwiches, and to move the business to a larger location on Water Ave in Portland. To celebrate the new, larger full-time home, Darrell renamed the bakery Sugar Street Bakery & Bistro. Sugar Street's spooky cupcakes. Yes that is a maple bacon cupcake. It's called the Evergreen Terrace! Darrell started out in catering – catering weddings and events at the Tumwater Ballroom in Oregon City – one day he called his friends who owned Cupcakes, Cookies and More to order cupcakes, only to find out they were closing. “I asked, where will I get my cupcakes?” says Darrell. Check out the rest of the awesome Halloween cupcakes available at Sugar Street below, and then follow Jordyn’s recipe to make some mind blowing cranberry orange cupcakes – perfect for fall. Line 14 muffin tins with cupcake liners. In the bowl of a mixer, beat the sugar and butter together until light and fluffy, about 5 minutes. Add in the eggs, one at a time, scraping down the bowl between additions. Beat in the orange zest. In a liquid measuring cup, combine the buttermilk and the orange extract. Add 1/3 of the flour mixture to the butter and beat until combined. Follow that with 1/2 of the butermilk. Add another 1/3 of the dry ingredients, the remaining buttermilk, then the remaining flour mixture, beating to combine between each addition. Fold the cranberries into the batter. Bake until a tester inserted in the middle comes out clean, about 18 minutes. Allow to cool completely. Beat the butter in a mixer until light and fluffy. Add in the powdered sugar, 1/2 cup at a time, until completely combined. Beat in the orange zest. Add in the cream, 1 tablespoon at a time, until you reach your desired consistency. Beat in the cranberries.